Available in regular only (Sweetened Only). One 8 oz bag makes approximately 14 eight ounce cups. Distinct apricot flavor. Brandy flavor is non-alcoholic. Very popular! 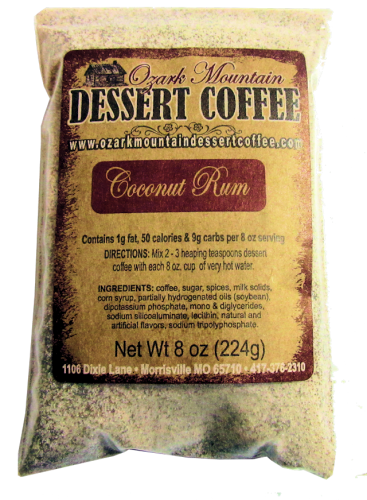 Available in regular only.Each 8oz cup has 50 calories, 1 gram of fat, and 0 cholesterol. Cherry chocolate with a touch of almond. 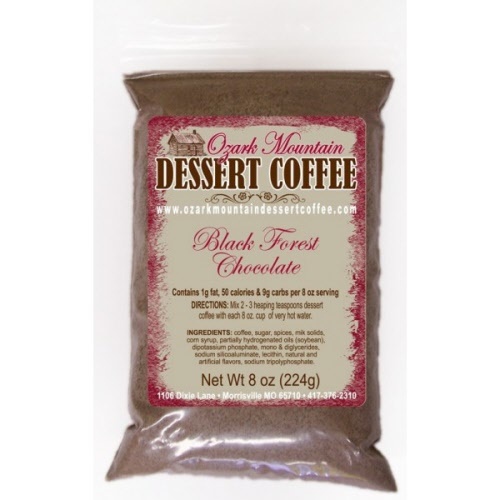 Tastes like black forest cake or chocolate covered cherries. One of your top sellers! Smoothie- Cool to room temperature and add 1 cup of ice (crushed works well), or add 1 scope of ice cream and blend in blender. Rich caramel flavor. Very popular! Our unsweetened flavors contain no sweeteners or sugars, allowing you to control the amount and type of sweetener you prefer. Unsweetened flavors are 0 Weight Watchers point. 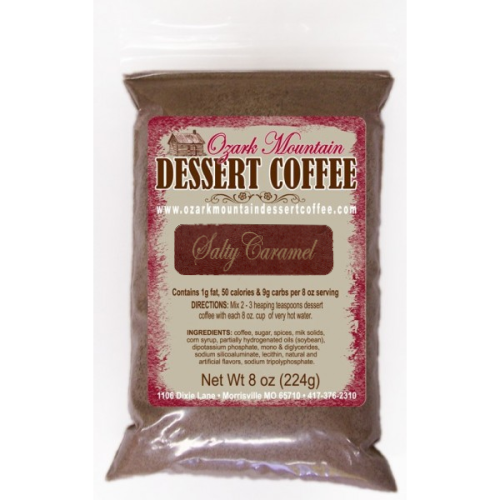 If you like cinnamon you will love our cinnamon chocolate coffee. Available in regular or unsweetened. New flavor! Rich coconut mixed with rum makes delicious combination! Tastes so good anytime but very special for the Holidays! Our Newest Flavor ! Rich coconut mixed with rum makes delicious combination! Mild cocoa flavored coffee. Very smooth chocolate flavor. Available in regular or decaf. New flavor! Sweet and Salty flavor. Very popular! New flavor! Cinnamon and nutmeg blend to make it taste like the popular cookie. Tastes great anytime, but very special for the Holidays!